Sales for pickup trucks are expected to be on the rise once again as news of Nissan adding the Cummins Diesel Engine to their Titan pickup trucks. This brand new, fully re-designed model of the reliable Nissan Titan will now feature the Cummins V-8 diesel engine. This change is expected to create a bigger challenge for Nissan’s long-time competitor, the Chrysler Ram 1500 series diesel pickup truck. Cummins has been a reliable name in the diesel engine industry for quite some time. Adding this one of a kind motor to the dependable Nissan Titan is sure to catch the attention of pickup truck lovers all over the nation. 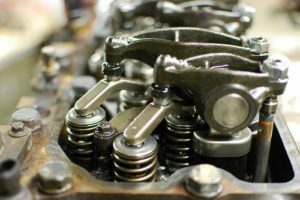 The Nissan brand is convinced that adding the Cummings name to their brand of quality products will help them to triumph over the Chrysler Ram’s diesel engine that is manufactured by a relatively unknown Italian auto parts company. All Cummins diesel engines that will be placed inside the latest Nissan Titan models will be designed and manufactured in the United States at the Cummins Columbus, Indiana facility. Nissan’s sales and marketing team listened to the needs of the public when choosing to go with the Cummins diesel engine. More customers expressed their concerns for an engine that would provide more performance and torque for their money. Nissan fans wanted a truck that was capable of handling heavy jobs without having to resort to owning a commercial pickup truck. The new Titan will provide everyday convenience with the added benefit of additional strength and power, allowing you to use your Nissan Titan for work or play. Another reason why Nissan customers may be inclined to go with this new upgraded pickup truck is due to the fact that diesel engines tend to get better mileage overall while they can also support much larger loads than regular gasoline powered engines. With the ever-changing price of gasoline causing a strain on everyone’s budget, switching to a truck that uses a diesel engine could be a very smart move. The Cummins diesel engine is still in development at this time, but it is believed to be rated to have around 550 lbs feet of torque while also harnessing more than 300 horsepower. At this time, no one knows when the new Nissan Titan with the added Cummins engine will be available for purchase. However, experts say that we can expect the truck to arrive on the market before the actual diesel engine. And while there are several choices out there for truck lovers who prefer a diesel engine, none of the major brands such as Ford, GM or Toyota offer a diesel engine in any of their standard duty model pickup trucks. If you are hoping to buy one of the best, it would be a good idea to wait until more news is released on the upcoming Nissan Titan standard duty diesel truck.